This publication addresses the legal aspects specifically relevant to police officials. It states, interprets and applies the most general legal principles in the fields of criminal law and criminal procedure (mainly the pre-trial process), and some basic principles of the law of evidence. There is a constant emphasis on the influence of human rights on these fields of law, and especially on policing powers. 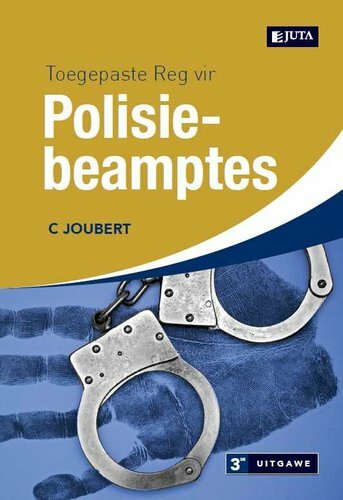 Academics, practitioners, justice and police officials collaborated in producing a book that is not only theoretically sound, but also of great practical value.